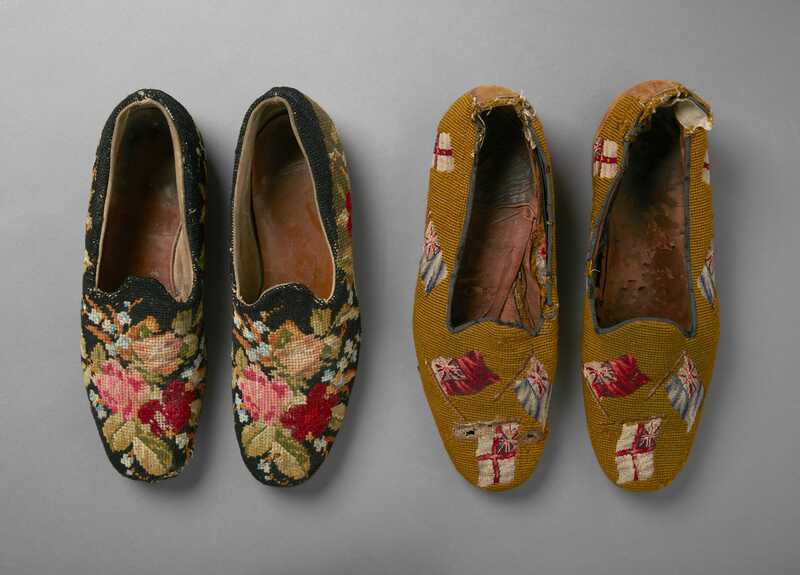 The upper parts of these two pairs of men’s slippers have been stitched by hand in wool thread on a canvas ground. 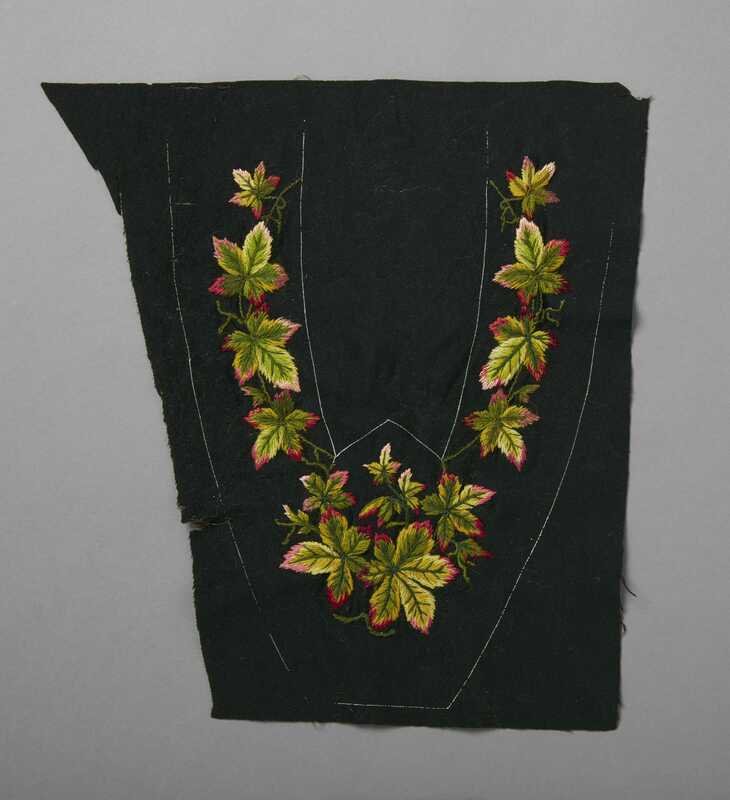 This style of embroidery, known as Berlin woolwork, was a widespread domestic pastime throughout Queen Victoria’s reign, and was characterised by bright flowers, foliage and similar motifs. 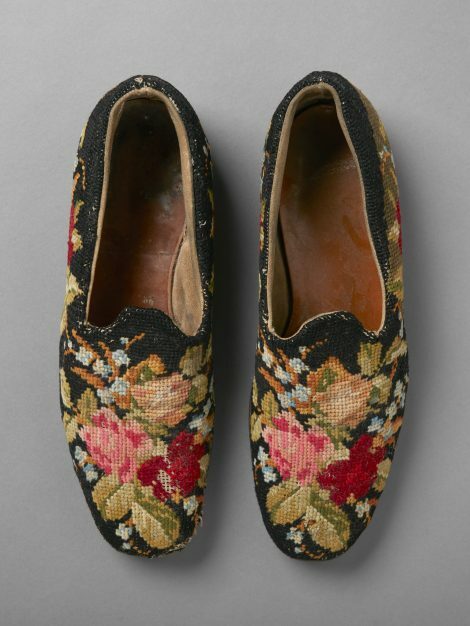 The uppers were stitched flat, following a coloured chart, possibly by the wearer’s wife or daughter, to be made up professionally by a cobbler. 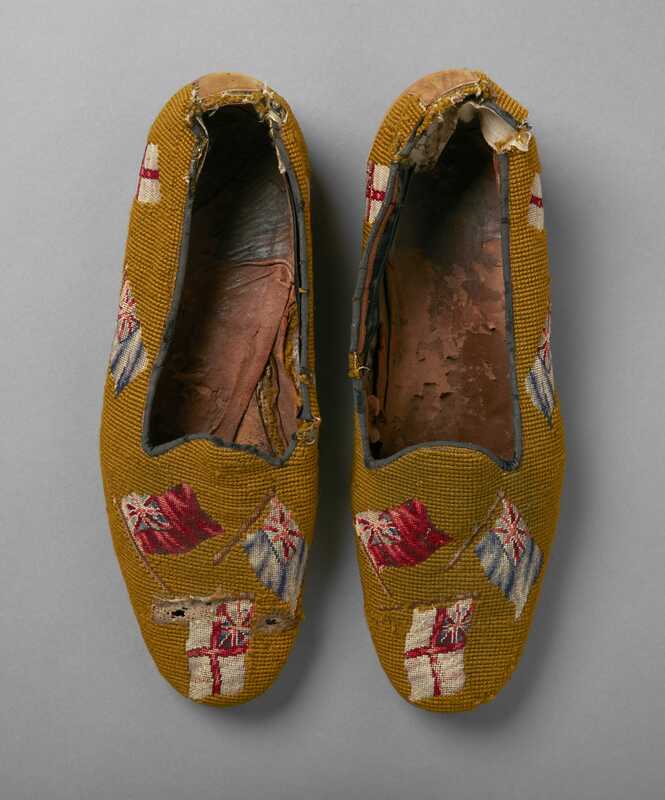 The slippers on the left of the image are worked in tent stitch and are lined in chamois leather; their leather soles and heels have been replaced at a later date. 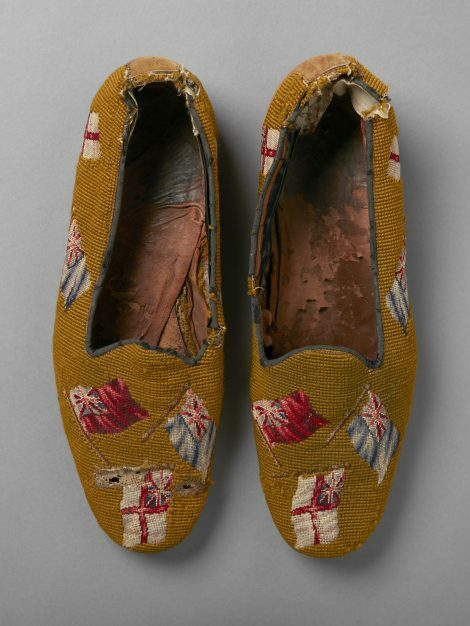 The petit point ensigns on the right hand pair suggest that they were made for a naval man; their edges are bound in (now worn) black velvet and their soles and linings are of leather. 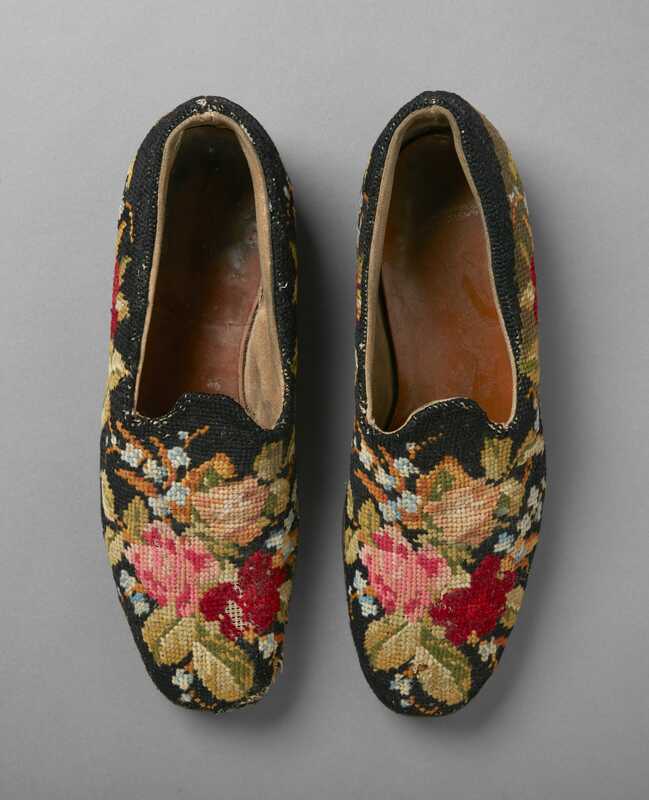 The John Bright collection owns several examples of embroidered slipper uppers that never reached the stage of being made up (see Additional Images). 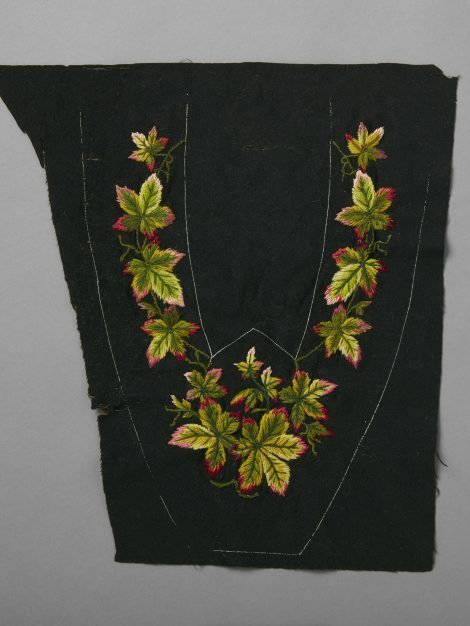 A pair worked in wool with ivy leaves on a red ground incorporates chevron stripes of small beads in various colours; a single upper is marked out on black wool fabric, its attractive design of reddening leaves completed in wool thread. 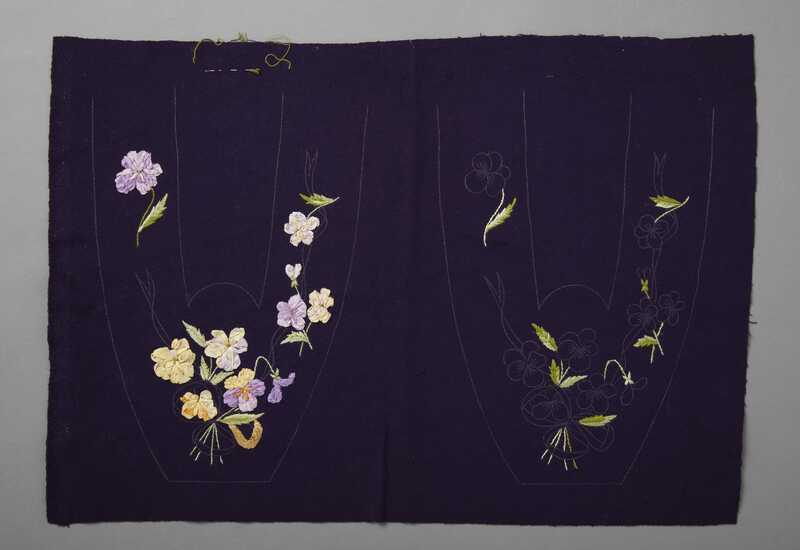 The pair marked out on purple wool, of around 1900, was clearly intended for a woman with its delicate ribbon work flowers and ribbon bows of couched gold coloured thread which, if completed, would have been dazzlingly bright. 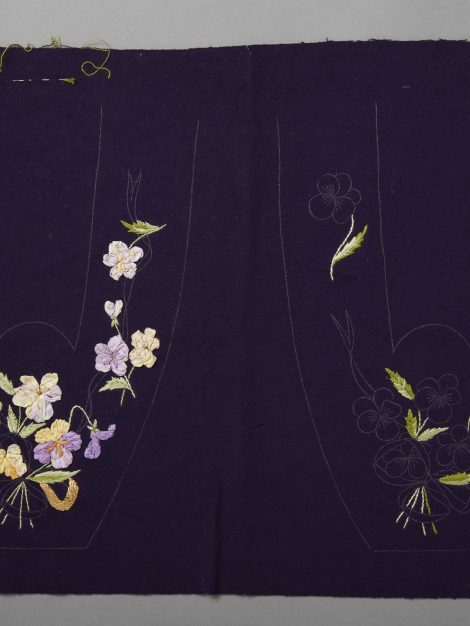 A with many craft projects, time or enthusiasm waned, and it has been left with the original needle and thread attached. 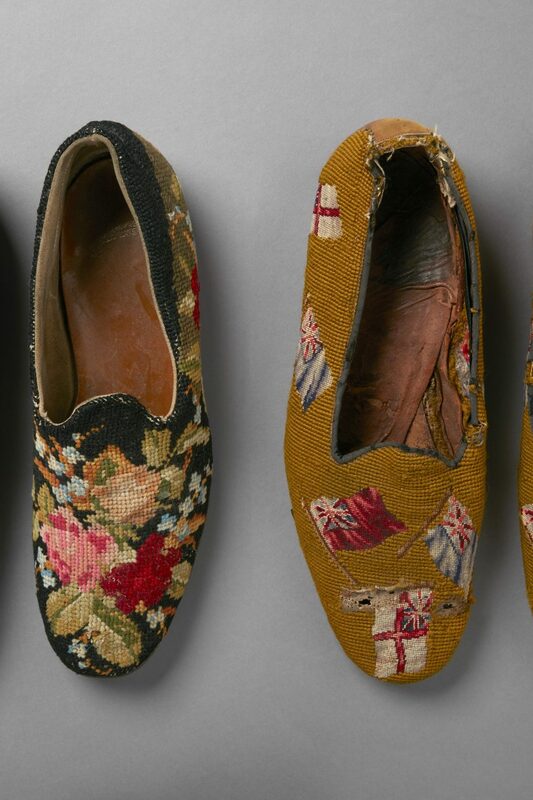 It is noticeable from these examples that the designs were not reversed for the left and right feet.